A funeral formally marks the end of a person’s life here on earth. Family and friends come together to express grief, give thanks for the life lived and commend the person into God’s safe keeping. This can be a small, quiet ceremony or a large occasion in a packed church. If you have the responsibility of organising a funeral then we hope that the following frequently asked questions and their answers will help you. Remember, if the following do not address a particular concern, feel free to contact the Parish Office who will be only too pleased to try and help you. Alternatively, send your question via the ‘Contact Us’ page. Who is entitled to a Christian funeral service? Everyone is entitled to a Christian funeral service in their parish church. If, as is the case at St Benedict Biscop Church, the churchyard is closed because there are no longer any plots remaining, the Local Authority will provide an alternative place of burial; in Wombourne this is Sytch Lane Burial Ground, to the south of our village. The only exception to this is when a family member has previously been buried in our churchyard and the plot can accommodate another burial. However, what will I need to do first? After the initial news of the death of someone you knew and loved, there are some important things that need to be done. Some of the main things are identified below. If there is no will, you will need to decide who will take responsibility for the funeral. You will need to get a medical certificate identifying the cause of death signed by a doctor. It is usual to engage the services of a Funeral Director, who will then, acting on your instructions, carry out some of the tasks involved in arranging the funeral itself. How do I decide on what Funeral Director to use? Unless the deceased expressed a preference for a Funeral Director, through the purchase of a Funeral Plan for example, it will be necessary for you to make that decision. There are numerous Funeral Directors for you choose from. If you’re not yet sure which one to use, you can find one near you on the National Association of Funeral Directors’ website, or on the National Society of Allied and Independent Funeral Directors (SAIF) website. Wombourne is served by three main Funeral Directors: ‘Wombourne Funeral Services’, Common Road, ‘Jennings’, Church Road, and ‘Co-operative Funeral Services’, Windmill Bank. There are, of course, a number of others in the wider local area whose services you may want to use. What will the Funeral Director want to know? The Funeral Director will talk to you about what kind of funeral you would like. However, the deceased may have already made this decision if they had taken out an insurance plan to meet the cost of the funeral and decided on the format their funeral should take. If not, one of the first questions you will be asked is whether you’d like a burial or a cremation. You might wish to discuss this with other family members if you’re not sure what the preference was of the person who died. You’ll then be asked where you would like the service to be held. The Funeral Director will also ask you about what coffin you would like, how you want it transported to the service, whether you want flowers or not and any other special requests you may have. I have decided on a church service at St Benedict Biscop, what then? If you have employed the services of a Funeral Director, they will contact the Parish Office to make the necessary arrangements and book the service on your behalf. If your preferred day and time can’t be accommodated by the church the Funeral Director will get in touch with you to discuss alternative days and times. If the church service is to be followed by cremation then the Funeral Director will have to agree the date and timings with both the church and the chosen crematorium. They will also provide the Parish Office with all the necessary basic details concerning the death and the deceased. Will the Church contact me about the funeral service? 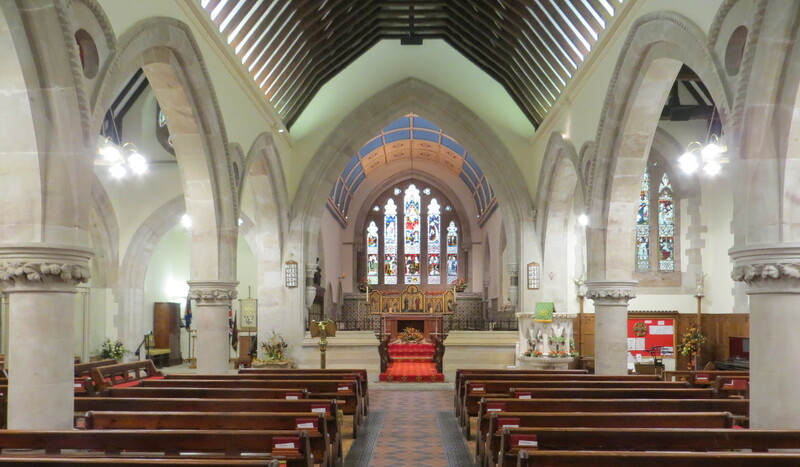 Yes, once the funeral has been arranged with the Parish Office a minister will be appointed to carry out the service and they will then contact you to arrange a meeting. At this meeting the minister will endeavour to find out a little about the deceased’s life in order to make the service as personal as possible. They will also go through all the details of the funeral service, including what, if any, hymns, readings etc that are to form part of the service. Will I be able to choose the hymns for the funeral? If the deceased has not left any written preferences as to what hymns they wanted at their funeral then there are a number of hymns that are often played. 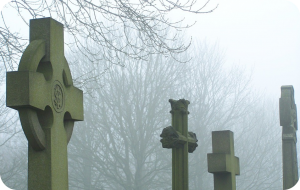 The website link ‘Suggested Hymns for a Funeral’ provides suggestions as to some of the most popular hymns that are used. There are, of course, many other hymns that you are free to choose from. Some people also like to have a piece of music played that had special meaning to the deceased or was a favourite of theirs. If this is the case then again it is possible, usually at the beginning and/or end of the service. In this case you will be asked to provide a CD with the music on so the Church can play it through its sound system. What about a reading or a poem during the service? Again, in some cases the deceased may have expressed a preference as to what readings they wanted at their funeral. If this is the case you should abide by their wishes As well as a Bible reading (see ‘Readings from the Holy Bible for a Funeral’ for some suggestions) some people like to include a more general reading and/or a poem in the service. If this is the case then the document ‘Readings and Poems for a Funeral’ provides suggestions as to some of the general readings and poems that are often used. There are, of course, many others that you are free to choose from. What is the format for a funeral service? Initially processional music will be played as the coffin is led into the church (this may be a musical extract rather than a full piece of music) and then the minister will introduce and welcome everyone. This is followed by an opening prayer and a hymn. After this, if it is wanted a eulogy is given, usually by a relative or a close family friend, which highlights aspects of the life of the deceased. This is then usually followed by readings – perhaps a general reading and/or poem and a Bible reading. The minister will then give an address, which will be followed by a hymn and prayers, concluding with the Lord’s Prayer. A further hymn can follow after which there will be the commendation. After this the coffin will be taken from the church with accompanying music. A eulogy is a verbal account about the person who has died, their life and what they meant to you. It is a great privilege to be asked to give a eulogy at a funeral but it can also be a daunting and emotive experience. In preparing a eulogy try and think about the people you are giving it to as well as the person it is about and remember to keep it short and concise. One of the best ways of preparing a eulogy is to think about the person’s family, their education and work, their hobbies and interests and their personal qualities. It can be useful to tell short stories about the person, both the happy and the sad things as well as the funny and unusual things that may have happened to them. So try to capture the essence of the person and highlight the good things – remember, be honest but it may also be wise to be selective. If you need further guidance here the Parish Office can provide you with a guide. Most funeral services last for about 45 minutes. Can the deceased be buried in the church graveyard? 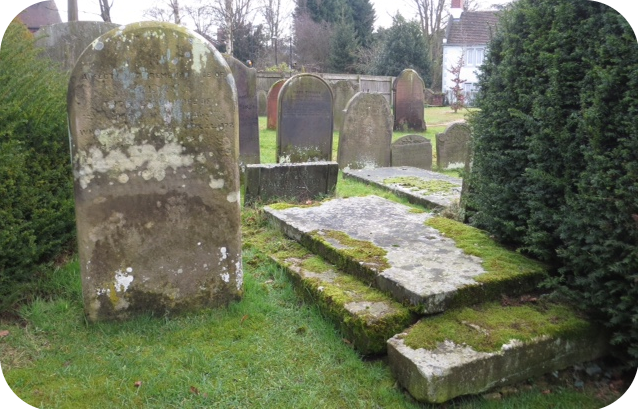 Only if the deceased has a relative buried in the churchyard and there is still space in the plot can a burial take place here. If there is doubt as to whether the plot has space then the Funeral Directors will arrange for it to be ‘rodded’ to ascertain this. As the churchyard is now full and closed the Local Authority has provided alternative burial space at the Sytch Lane Burial Ground. A cremation is to follow the church service. What happens then? 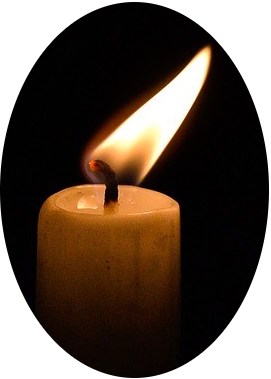 The Funeral Directors will have booked the crematorium and made all the necessary arrangements in accordance with your wishes or those of the deceased. Once the church service has finished the minister will accompany the cortege to the crematorium where a short service will be conducted. The nearest crematorium serving Wombourne is at Gornal Wood, Dudley. Sometimes it is decided to have the cremation first, after which a church memorial service is held. What about the cost of a funeral? The cost of a funeral will be a matter for you to discuss with the Funeral Directors who will ultimately invoice you for everything involved. The Funeral Directors will then pay all those involved in carrying out the funeral, including the church. Whilst the church has set fees for funerals the overall cost of a funeral can vary considerably depending on how simple or elaborate it is. The type of coffin, the nature and amount of transport requested, for example, will all have a bearing on the final cost. Funeral costs are usually paid out of the deceased’s estate although, in some cases, there may be insurance policies or funeral plans in place to cover all or some of the costs. 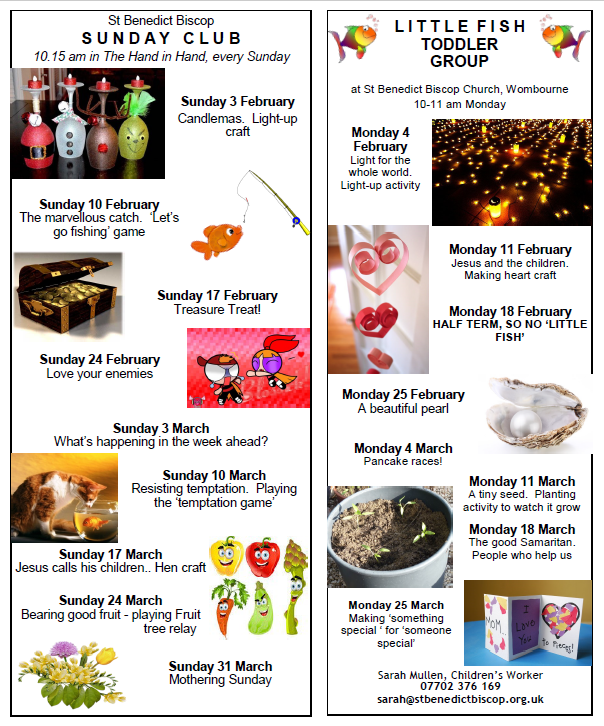 Useful information can also be found on the Church of England website. Copyright © 2019 St Benedict Biscop Church with the Venerable Bede.